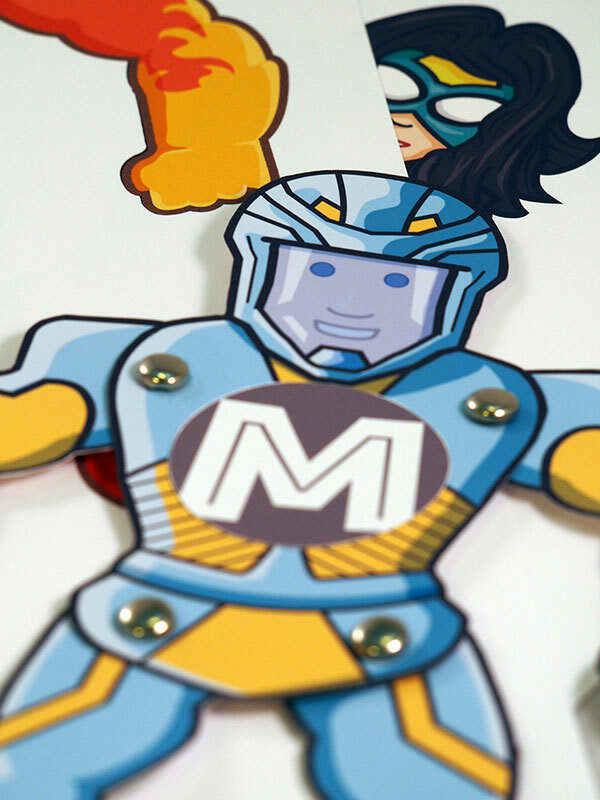 Who wouldn’t want their very own superhero with their insignia on it’s chest? Sounds awesome, well hey you could get your superhero right now? I’ve created 26 unique superhero templates, one for each letter in the alphabet. You just choose your hero and put your initial on it’s chest and presto you got yourself one great Superhero! These printables are a great kids party activity or just to have some fun with your kids. Want to get extra creative, then you can color your hero just the way you want it. 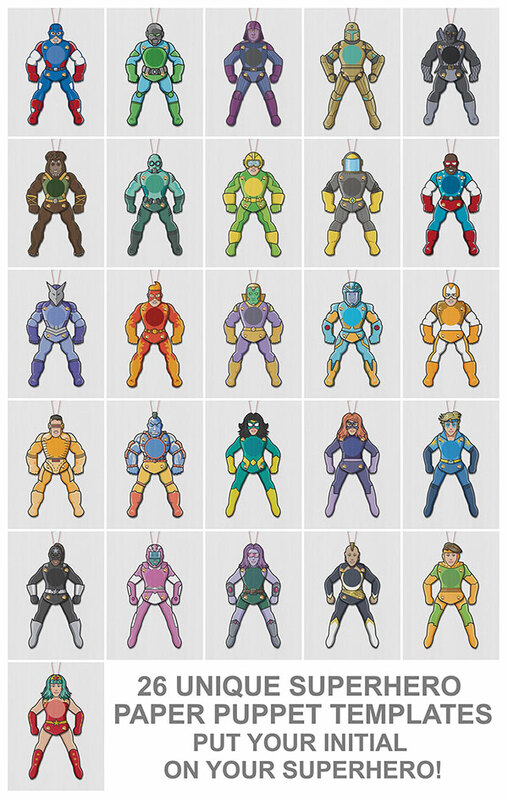 All 26 superheroes also come in a coloring version. 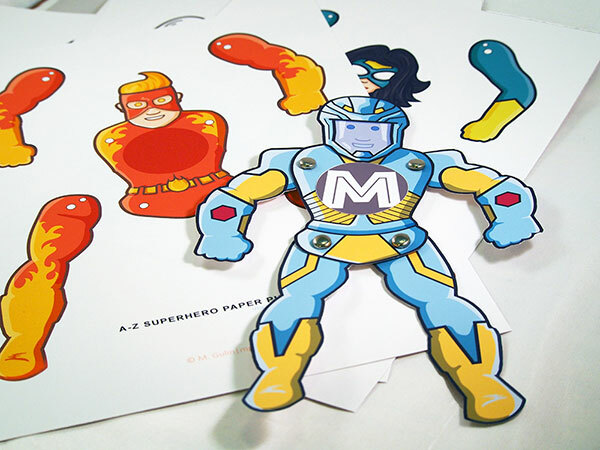 So head on over to Etsy and get your awesome A -Z Superhero Paper Puppets. Assembly is super easy, and detailed instructions are included in the PDF-file. Just download, print and assemble for an awesome fun time! 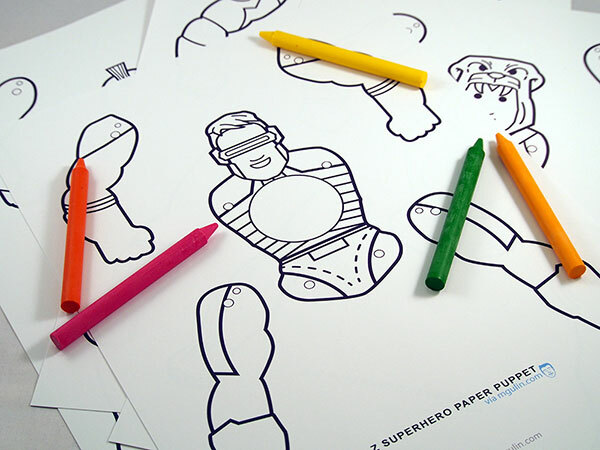 Content: 26 Paper Puppet template, 26 Coloring template and instructions. These were a huge hit with my kids. The love putting their initial on the superhero. Great fun! I love these paper puppets and so does my kids. They been palying with them for hours, coloring and cutting. What a great idea!